The Lord directed us to Italy in very different ways. Elizabeth grew up there as the daughter of missionaries, and having a part of her family’s ministry, she developed a burden for Italians, most of whom did not know that God’s offer of salvation is by grace alone. Daniel grew up in the U.S., and as a high school student desired to go into broadcasting. Before starting college the Lord provided him an opportunity in Italy to gain some broadcasting experience at Radio Luce, the missionary radio station run by Elizabeth’s parents. 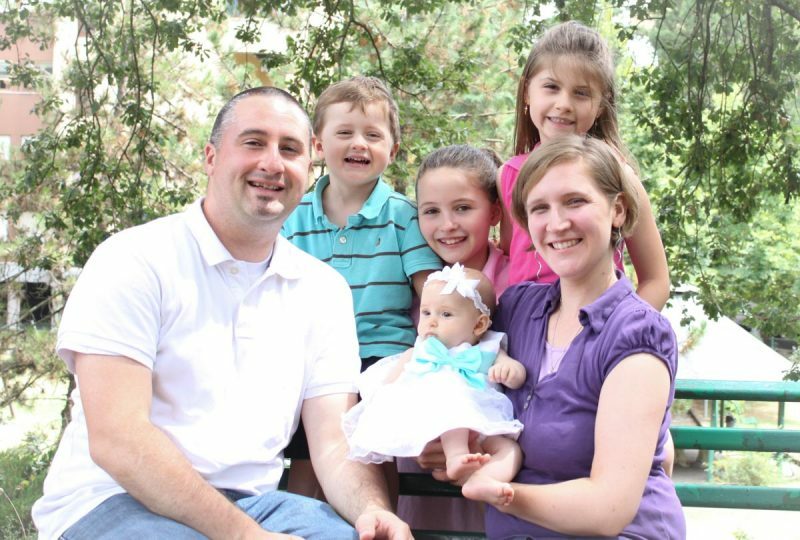 God used these years to change Daniel’s intended path to full-time church planting in Italy. Having developed a close friendship, we returned to the U.S. to attend Bible college and then to raise up a support base in order to return to Italy as full-time church planting missionaries. We were married in 2003, and the Lord has blessed us with four children. We are working to bring the church plant started by Elizabeth’s parents (Centro Evangelico Battista) to “graduate” to autonomous status. Daniel serves as one of the pastors of the church, and oversees the broadcast outreaches. Both Daniel and Elizabeth serve in teaching, discipleship, and counseling responsibilities. In the last few years Centro Evangelico Battista has elected it’s first deacons, and is close to paying off it’s building. We are praying for a man to serve as pastor who would be supported by the church, the next major step towards autonomy. Subscribe to our Prayer Letter (email list) – just fill out your info in the box to the right. Go to Baptist Mid-Mission’s online giving page. Thank you for your prayers, interest and support! Click the button below (Baptist Mid-Mission’s online giving page). Thank you for partnering with us through giving!